Helquist, Brett. Very Good. 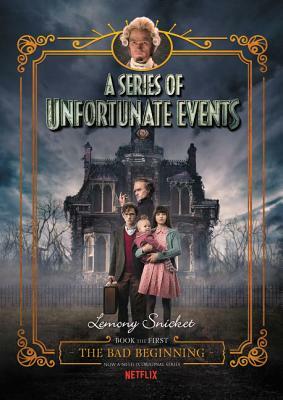 Snicket's beloved, bestselling series about the orphaned Baudelaire siblings is now an Original Netflix Series starring Neil Patrick Harris. Illustrations. Sewn binding. Cloth over boards. 192 p. Contains: Illustrations. Series of Unfortunate Events, 1. Intended for a juvenile audience. Helquist, Brett. Fine. Sewn binding. Cloth over boards. 192 p. Contains: Illustrations. Series of Unfortunate Events, 1. Intended for a juvenile audience. In Stock. 100% Money Back Guarantee. Brand New, Perfect Condition, allow 4-14 business days for standard shipping. To Alaska, Hawaii, U.S. protectorate, P.O. box, and APO/FPO addresses allow 4-28 business days for Standard shipping. No expedited shipping. All orders placed with expedited shipping will be cancelled. Over 3, 000, 000 happy customers. Helquist, Brett. New. Sewn binding. Cloth over boards. 192 p. Contains: Illustrations. Series of Unfortunate Events, 1. Intended for a juvenile audience. In Stock. 100% Money Back Guarantee. Brand New, Perfect Condition, allow 4-14 business days for standard shipping. To Alaska, Hawaii, U.S. protectorate, P.O. box, and APO/FPO addresses allow 4-28 business days for Standard shipping. No expedited shipping. All orders placed with expedited shipping will be cancelled. Over 3, 000, 000 happy customers.